The Lean Startup Academy is a unique opportunity to validate your business model and start increasing your commercial traction. By testing your hypothesis against the market, you will identify your prioritary customers, the right value proposition for them and the best channel to reach them. Starting March 2018, the Lean Startup Academy Spain will support 10 European eHealth startups to improve their business model through an intensive validation programme led by experienced trainers. A first face-to-face training session with eHealth experts and stakeholders. Intensive out-of-the-building interactions with potential customers during ten weeks. Participation in sectoral meetings to network and increase validation opportunities. End up with a sound, validated business model tested against your market. Get personalised feedback from experienced trainers. Find your product-market fit and start commercializing effectively. Access to potential customers, investors and other eHealth experts outside your current network. 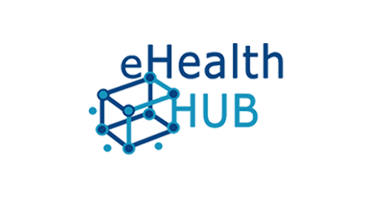 Get visibility via eHealth Hub partners dissemination channels. Be invited to participate in other eHealth Hub opportunities like connecting with private investors, if you do homework and get traction. Early-stage startups and SMEs within the eHealth sector. You have to provide proof of legal entity (e.g. VAT number). Companies headquartered in H2020 countries. Confirmation of attendance to the group meeting in Madrid. Travel expenses are not covered. Credible commitment for the 10 week interaction (at least 10 interviews with customers or stakeholders are expected per week). This is a full-time job. Soundness of current Business Model and Validation Hypothesis. Jorge González. Director of TICBioMed and Coordinator of eHealth Hub. Coach in the SME Instrument programme. Dario Mazzella. Project Manager at META Group. Startup coach and Investment Readiness expert. Andrea Di Anselmo, Vice-President at META Group. Vice-President of INSME (International Network for SMEs). Expert in Innovation Strategies, Exploitation of Research Results and Early Stage Investment Funds. Online training: Every Wednesday starting March 21. If you are not familiar with the Lean Canvas and/or the Lean Startup jargon, you can find some resources here. There are plenty on the internet, invest your time. The Lean Startup Academy will support 10 European eHealth startups. This high quality training is delivered completely free of charge (except travel expenses to the live sessions) as it is funded by the European Commission. The project plans to deliver 2 more Lean Academy programs in other European locations. If you cannot attend the Spanish edition or commit full-time during the planned 10 weeks, join our mailing list to stay tuned for future opportunities. If you have a business idea in a very early stage, we recommend you the Business Model Clinic program where our team of experts will help you to identify potential business models for your solution. Application is not open yet. Stay tuned for news!